Skin is the largest organ of our body, it not only makes us look presentable, but also guards the body from the extremes of temperature and weather. The skin can be affected by various disorders varying in intensity and with different symptoms. It is important to take skin disorders seriously because most of them might be minor but they might indicate some serious issue which needs the attention of a physician or healthcare professional. Skin disorders can be due to a variety of causes – they can be caused by infections (bacterial, viral or fungal), might be cause by immune system dysfunction (lichen planus) or can have genetic causes. Some may have sitatutional or physiological reasons (like teen-age Acne). Listed below are some of the common skin conditions and diseases tracked by Tibot. Warning: Some of the images of skin diseases might be graphic, viewer discretion is advised. Acne is a disfiguring disorder of the pilosebaceous apparatus characterized by comedones, papules, pustules, cysts and scars. Acne lesions develop from the sebaceous glands associated with hair follicles—on the face, external auditory meatus, back, chest, and ano-genital area. Sebaceous glands are also found on the eyelids and mucosa, prepuce and cervix, where they are not associated with hair follicles. The sebaceous gland contains holocrine cells that secrete triglycerides, fatty acids, wax esters, and sterols as “sebum”. Bacterial skin infections often begin as small, red bumps that slowly increase in size. Some bacterial infections are mild and easily treated with topical antibiotics, but other infections require an oral antibiotic. The surface of the skin teems with micro-organisms, which are most numerous in moist hairy areas, rich in sebaceous glands. Organisms are found, in clusters, in irregularities in the stratum corneum and within the hair follicles. The resident flora is a mixture of harmless and poorly classified staphylococci, micrococci and diphtheroids. The many cell and tissue types in skin is responsible for the enormous number of benign tumors that may arise from it. Despite the large number of such lesions, they have a limited number of clinical appearances and, because of this, accurate clinical analyze is difficult. 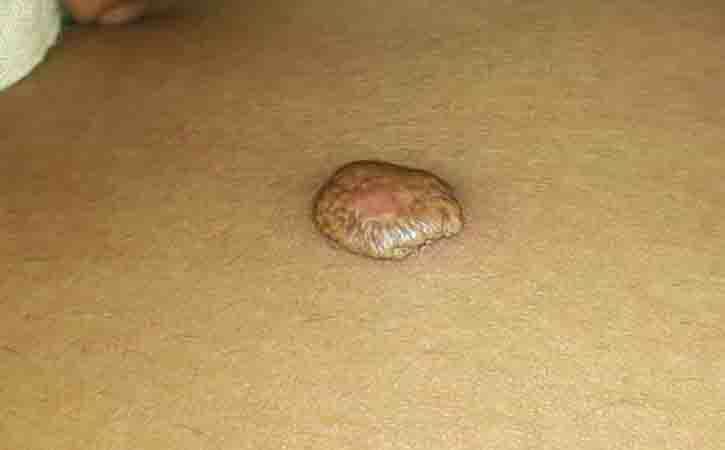 Skin tumors are abnormal growths of tissue. Skin tumors become extremely common as people get older. Eczema is a condition where patches of skin become inflamed, itchy, red, cracked, and rough. The term ‘eczema’ derives from the Greek word ‘to boil’ and is synonymous with the other descriptive term, ‘dermatitis’. In the developed world, eczema accounts for a large proportion of skin disease. It is estimated that 10% of people have some form of eczema at any one time, and up to 40% of the population will have an episode of eczema during their lifetime. All eczemas have some features in common and there is a spectrum of clinical presentation from acute through to chronic. Here are some key points about eczema. The common fungal infections of the skin are dermatophytosis or ringworm, superficial candidiasis, and Malassezia infections. There are two growth forms of fungi, moulds, and yeasts. Mould fungi produce thread-like hyphae that comprise chains of cells. In dermatophyte fungal infection of the skin, hair, and nails these hyphae invade keratin and are seen on microscopic examination of skin, hair, or nails from infected tissues. Vegetative spores develop in culture, and their distinctive shape helps to identify the different species. Skin scrapings or clippings from infected nails can be easily taken and should always be sent to the laboratory for mycological examination and culture in any patient suspected of having a fungal infection. 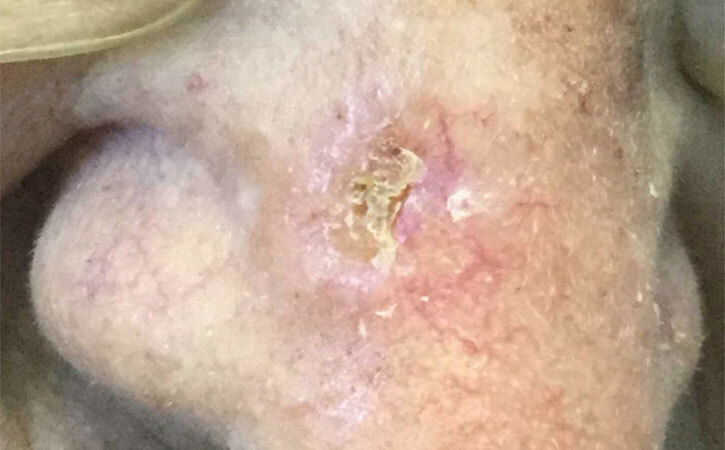 Infestations with parasites can cause systemic diseases in humans, but often result in cutaneous lesions which are on the rise in dermatology clinical practice due to the increase of travel and immigration. 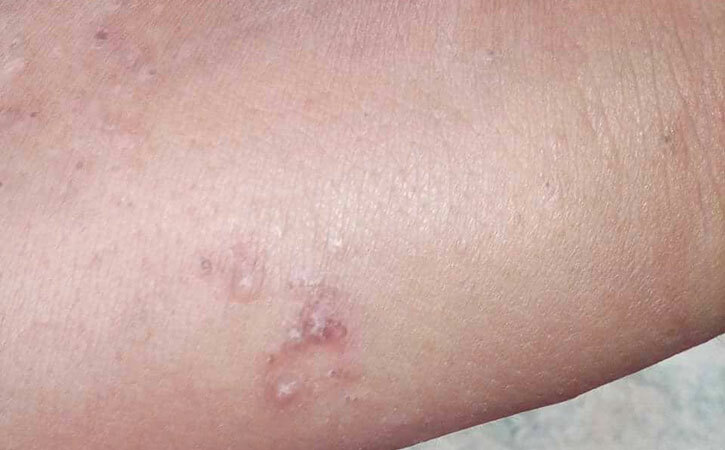 Despite the considerable burden parasitic skin infestations can cause, their significance has often been neglected by the health-care providers and scientific community alike. Furthermore, the debilitating impact a persistent itch can have must be taken into account when assessing these conditions. Parasitic infestations, stings, and bites in humans are caused by several groups of organisms. Pigmentation DisordersPigmentation means coloring. Skin pigmentation disorders affect the color of your skin. Your skin gets its color from a pigment called melanin. Special cells in the skin make melanin. When these cells become damaged or unhealthy, it affects melanin production. Some pigmentation disorders affect just patches of skin. Others affect your entire body. If your body makes too much melanin, your skin gets darker. Pregnancy, Addison’s disease, and sun exposure all can make your skin darker. If your body makes too little melanin, your skin gets lighter. Vitiligo is a condition that causes patches of light skin. Albinism is a genetic condition affecting a person’s skin. A person with albinism may have no color, lighter than normal skin color, or patchy missing skin color. Infections, blisters and burns can also cause lighter skin. Psoriasis is a chronic, noncommunicable, painful, disfiguring and disabling disease for which there is no cure and with great negative impact on patients’ quality of life. It can occur at any age but is rare under 10 years, and is most common in the age group 50–69. One to three per cent of most populations have psoriasis, which is most prevalent in European and North American white people, uncommon in American black people and almost non-existent in American Indians. Suspicious tumour maybe benign or may be malignant. After biopsy it will confirm. But when anyone suspects a tumour, must consult with a doctor. Her we explain malignant tumour. Most skin Malignant Tumours are locally destructive malignant (cancerous) growth of the skin. They originate from the cells of the epidermis, the superficial layer of the skin. Unlike cutaneous malignant melanoma, the vast majority of these sorts of skin malignancy rarely spread to other parts of the body (metastasis) and become life-threatening. 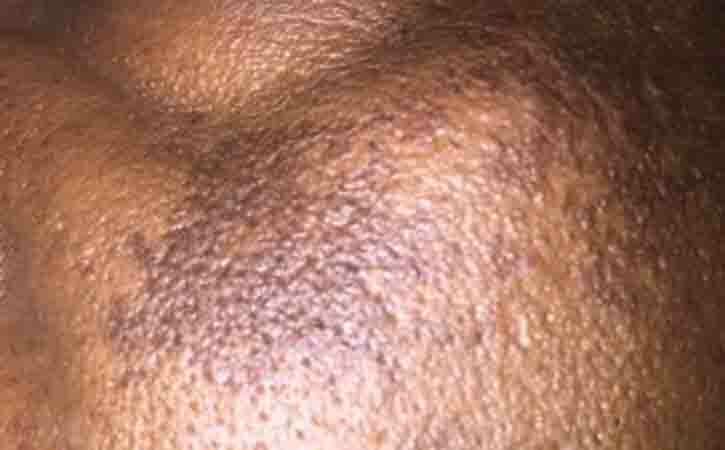 Malignant lesions may cause skin changes such as acanthosis nigricans and dermatomyositis or produce secondary deposits. Lymphomas can arise in or invade the skin. 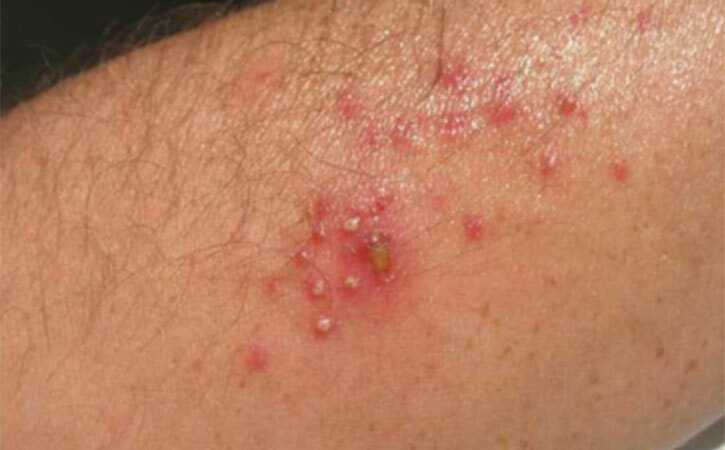 Pruritus may be associated with Hodgkin’s disease. Viruses are obligatory intracellular parasites. It is a small particle of genetic material (either DNA or RNA) that are surrounded by a protein coat. Some viruses also have a fatty envelope covering. They are incapable of reproducing on their own. A viral infection is a proliferation of a harmful virus inside the body. Viruses cannot reproduce without the assistance of a host. Viruses infect a host by introducing their genetic material into the cells and hijacking the cell’s internal machinery to make more virus particles. With an active viral infection, a virus makes copies of itself and bursts the host cell (killing it) to set the newly-formed virus particles free. In other cases, virus particles bud off the host cell over a period of time before killing the host cell. Either way, new virus particles are then free to infect other cells. Viruses get a bad rap, but they also perform many important functions for humans, plants, animals, and the environment. For example, some viruses protect the host against other infections. Viruses also participate in the process of evolution by transferring genes among different species.